Base metals and precious metals have most certainly come to the fore in the last few months. Commodities as a broad asset class — and specifically metals such as gold, silver, zinc, nickel and lithium — have all felt significant bumps in the pricing stakes since the start of the year, on the back of global demand/supply machinations that are aligning in perfect harmony for Segue Resources (ASX:SEG). Since we last stopped in on SEG, there has been exploration progress and some initial outcroppings of a commercial re-rating on either one of SEG’s trifecta of metals projects in WA, Australia. Gold, lithium and nickel are SEG’s chosen plays and it would seem the geological work now being done to determine grade, ore quantity and resource quality of SEG’s various projects, has many of the hallmarks typically found in other proven high-grade projects in WA. If SEG can muster up some decent assay data in combination with getting its exploration out of the way as soon as possible, we could see SEG start to move-up from its current $6 million market cap. That’s a fair price-point at which to have a swing at — especially when it’s a company holding several interesting cards, all of which have a chance of paying off given current market conditions. Of course market conditions do fluctuate and this is an early stage play, so if considering SEG for your portfolio take a cautious approach to your investment decision and seek professional financial advice. SEG also has some bulky institutional support on its nickel project in the form of MMG , and has teamed up with Caeneus Minerals (ASX:CAD) to joint-develop SEG’s Pardoo nickel project. 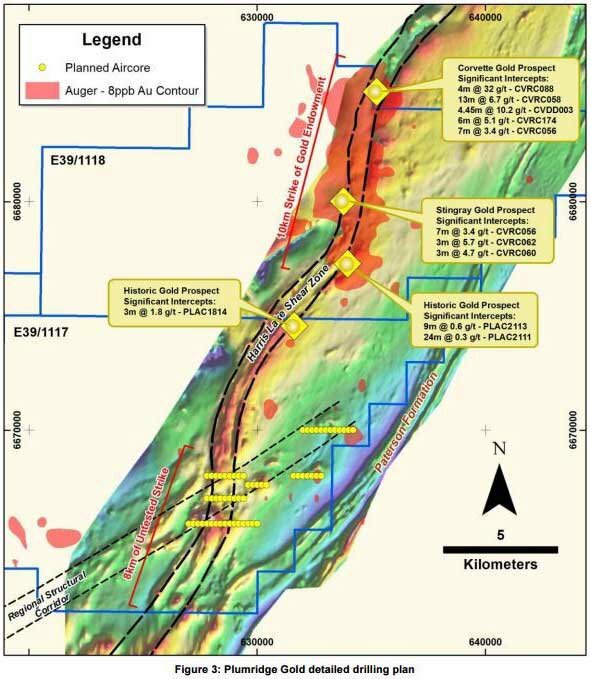 SEG has also secured a major new gold exploration project and has applied for two exploration licences at the Barlee Project covering 300km 2 of highly prospective greenstone belts, 180km north of Southern Cross in the Eastern Goldfields of Western Australia. Early-stage drilling has been completed at SEG’s Plumridge Gold Project — and the results in so far suggest SEG has some tantalising anomalies spread across a 10km strike zone to get its drill-bit stuck into. There are also two priority targets in the Corvette-Mustang-Stingray area identified in a drilling programme that will be tested by a 3000 – 4000m reverse circulation drill programme in 4Q 2016. ...it is usually a signal to start taking some notice. SEG has added gold (and more recently lithium) to its repertoire and supplemented intent with explorative action, at just the right time. Therefore, we think SEG is a solid candidate to join the growing cast of metals explorers, miners and producers currently benefiting from the lithium boom and gold safe-haven market themes dominating investor attention. 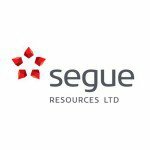 Segue Resources (ASX:SEG) has shifted gears in terms of its overarching market strategy and metals exploration activity. With its Pardoo nickel project coming to the boil, now in partnership with Caeneus Minerals (ASX:CAD), SEG has moved to establish a foothold in both gold and lithium too. Lithium prices continue to stay well supported in global commodity markets, while its hype in the mainstream media is taking off. Elon Musk, the Tony Stark/Iron-Man caricature is living true to his fictional alter ego by introducing innovative and energy-efficient ideas on a regular basis. Watch the video above to see the man himself present Tesla’s technology and ideas — all lithium-enabled and not a drop of gasoline anywhere in sight. 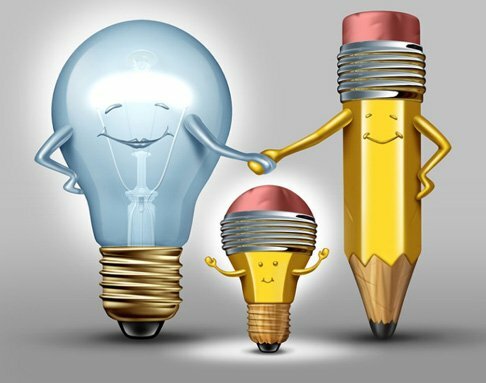 That kind of inspirational commercial leadership has got everybody from consumers to lithium explorers looking forward to a rather brighter and more efficient future — and it can all be made possible through better energy capture and storage. The key ingredients needed to manifest this future commercial feast are graphite, lithium and cobalt, and they’ve all been going bigin recent months. One evident fact that underlines where the future is going, is that pretty much all combustion-engine manufacturers now have extensive electric-vehicle (EV) capabilities — and they’re growing them at much higher multiples compared to combustion technology. In other words, the electric vehicle bandwagon is rolling, and there’s no stopping it now. One investment strategy that may pay off is to look for eager-beaver junior explorers with a small market footprint. With the race for lithium and gold heating up, SEG has managed to snag some alluring lithium tenements in WA, and beefed up its exploration projects by showing neat progress on its gold project in WA. 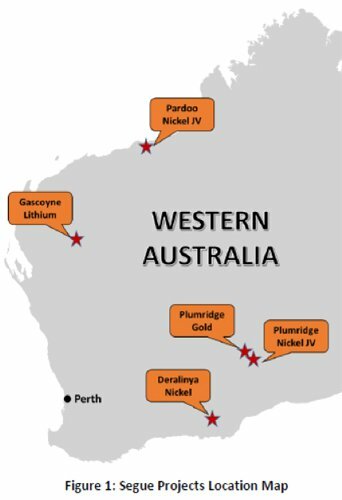 Last but not least, is SEG’s Pardoo nickel project, now progressing as part of a JV, with other nickel projects also on the boil. All three of SEG’s potential metals are currently in the spotlight for very different reasons — but the common denominator is that all three are seeing stronger demand. Before we get to SEG’s lithium option and update you on its nickel progress, it’s SEG’s Plumridge gold project that may be the first to go black on SEG’s balance sheet. 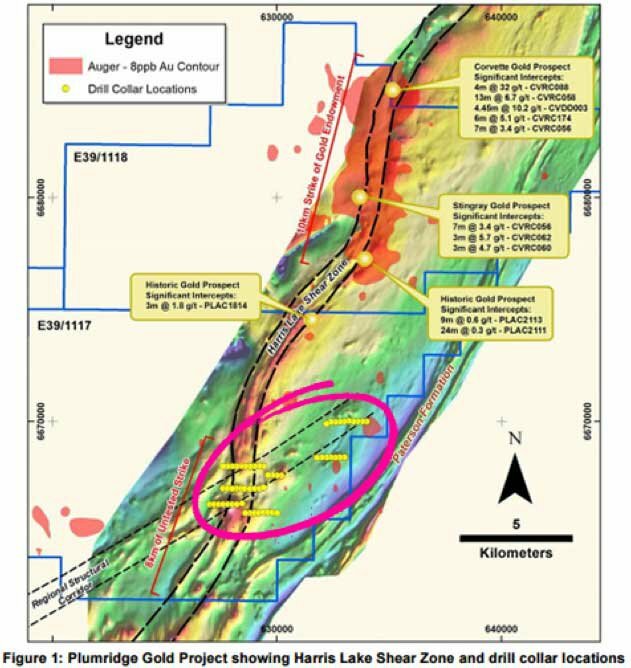 SEG’s exploration team has intersected several zones of anomalous gold from the recent air core drilling at the southern portion of the Plumridge. The air core drill programme (57 holes for 3,147m) tested an area of structural complexity along the southern extent of the Harris Lake Shear Zone. Ten adjacent drill holes returned anomalous gold assays averaging +10ppb Au, and the best result intersected 116ppb Au, which is in the 99th percentile of all gold intersected in over 90,000m of historical air core drilling at the Plumridge Gold Project. Bear in mind that these first drill holes are merely an early indicator, without being a JORC-grade validation of SEG’s gold endowment. Over time, we think SEG has a good shot at firming up these estimates with more substantial drilling and assays. But for the time being, these could be strong initial signs of significant gold hits later this year as drilling continues. In addition to the air core drilling programme, SEG has reviewed all historical exploration along the northern portion of the Harris Lake Shear Zone in order to identify and rank priority targets on exploration licences E39/1117 and E39/1118. 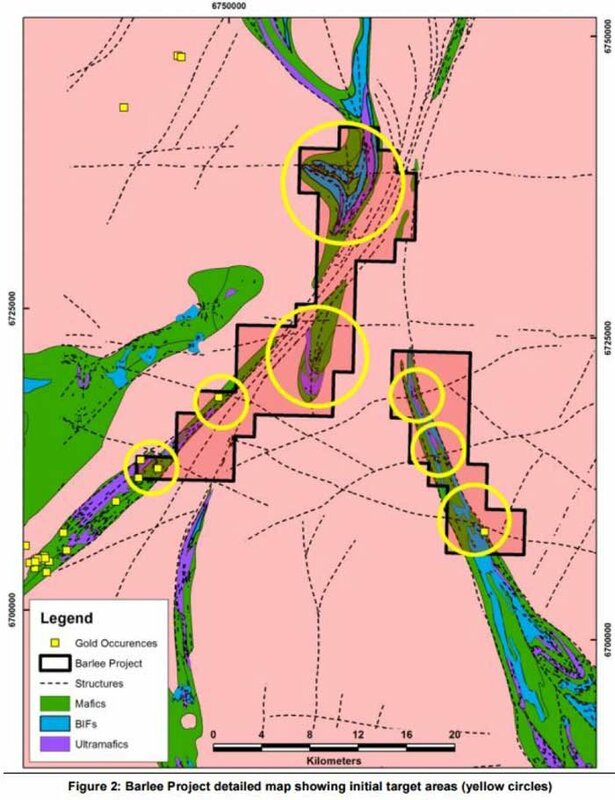 Multiple exploration targets still exist within the Corvette-Mustang-Stingray area, with previous air core drilling defining significant gold anomalies. These targets, along with the two priority targets identified in this drilling programme, will be tested by a 3,000 – 4,000m reverse circulation drill programme in 4Q 2016 . SEG’s latest golden move is its application for two exploration licences at the Barlee Project, located in the Southern Cross Domain which has a gold endowment of +20Moz. The Barlee Project covers 40 strike kilometres of the Evanston, South Elvire, Mount Elvire and Yeriglee Greenstone Belts which straddle the Evanston and Yunimery Shear Zones. Importantly a large portion of the greenstone belts are outcropping and will be the target of an initial rock chip and mutli-element soil and sampling programme scheduled to start in October 2016 – which means we could be hearing some news on this very soon. The following map shows initial target areas circled in yellow. Interestingly, the last significant gold exploration was conducted in the 1990s when several targets were identified and remain untested. Yet, most of the outcropping ground has not been covered by surface geochemistry. 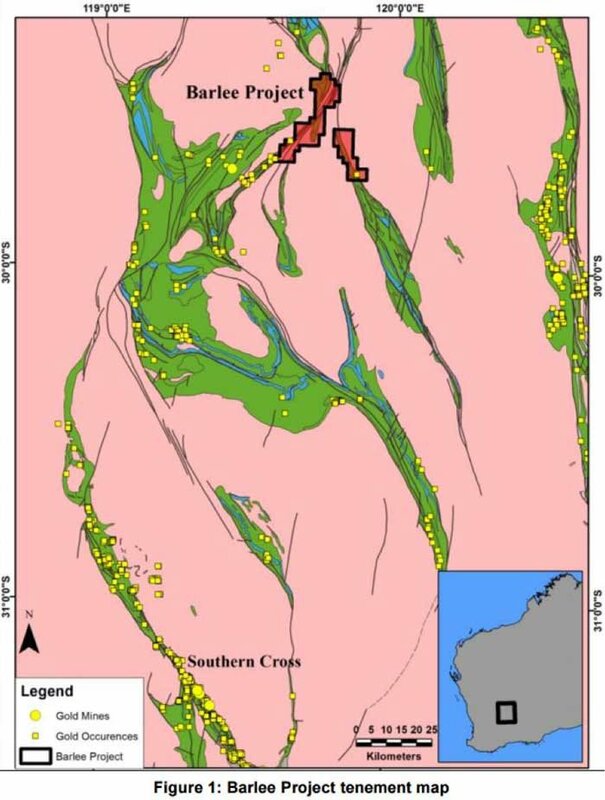 SEG will now undertake an extensive rock chip and soil sampling programme in October, which will follow the completion of the stream and soil sampling programme at the Gascoyne Lithium Project. 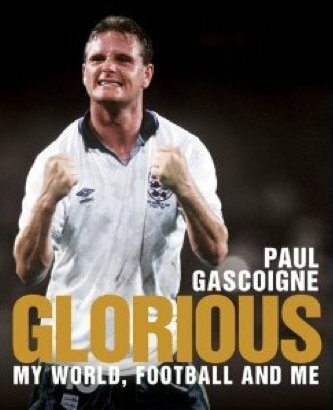 As all soccer fans will know, if you’ve got a Gascoigne on your side, you will have a chance of scoring goals. For SEG and other budding minerals explorers, the Gascoyne region is a highly prospective lithium-bearing region that has proven abundance of pegmatites. So the game is not about getting the ball into a net — its about netting as much lithium mineralisation as possible to form an exploration target and subsequent resource estimate. SEG has now executed its option to acquire Next Advancements, a company that currently holds 3 exploration licenses in the Gascoyne region of WA. The 220km 2 exploration area is plenty to get the lithium ball rolling for SEG. SEG is working a dual-combo strategy by entering into a farm-in joint venture with Zeus Resources Limited (ASX: ZEU) and acquiring more tenements for its own exploration in parallel. With ZEU, SEG is progressing the Mortimer Hills project covering already-granted exploration licence E09/1618 which is along strike from the three exploration tenements SEG acquired in March 2016. SEG’s recently acquired lithium tenements in WA cover a large portion of the highly fertile Thirty Three Supersuite, an aptly named geological curiosity that displays the same hallmarks and feature-sets as other high-grade lithium deposits elsewhere. WA has courted several other lithium explorers, also jostling for position in global lithium exploration — keen to bulk up on their lithium reserves in order to commercialise them once lithium-ion batteries take global centre stage within energy storage. The plan is to prove up significant lithium hits and to start building-up a competitive resource to add to the broader metals portfolio. This plan, however, is still in its infant stages and with any mining exploration project anything can happen. Investors should weigh up all information with regard to SEG before making an investment decision and seek professional financial advice. SEG is now the dominant player from a land-holding perspective, with other ASX companies Lithium Australia (ASX:LIT) , Venus Metals and SEG-partner Zeus Resources also close-by. LIT’s story is a perfect example of a resource company identifying the right commodity and its future potential, and then developing a tidy pacesetting go-to-market strategy to advance its lithium ambitions. LIT’s stock is up 210% from this time last year, and was as high as 505% a couple of months ago. Of course, regular Next Mining Boom readers would have no doubt followed LIT’s ascension . The lithium buzz has most certainly charged up many people’s expectations, including consumers — and this is gradually translating into higher demand for lithium and its exploration. With gold and lithium accounted for, let’s take a look at what else SEG has in its hamper. SEG’s nickel exploration is coming along nicely with a JV partner on-boarded just recently in the form of Caeneus Minerals (ASX:CAD) and project funding also receiving a boost. A major development since our last article on SEG, is the sale of 51% of the Pardoo Nickel Project in WA to CAD. Given all the frenetic activity now ongoing in both its gold and lithium exploration, SEG has decided to ease-off the pace on its nickel progress. By bringing a joint-venture partner on board to lead development, SEG can still keep a chunky commercial slice of nickel at Pardoo, without having to manage exploration and development. Pardoo already has a JORC-approved Inferred Resource of 44.7Mt @ 0.3% Ni and 0.13% Cu. CAD is contractually bound to make exploration progress, and the prospect of seeing Pardoo eventually developed into a world-class nickel resource has not diminished. SEG is a typical example of a small-cap explorer with a bit of a ‘ Survivoresque’ character and feel. For several years SEG has tried to make progress in metals exploration amidst a tirade of metals oversupply and tepid demand. The tide is now seemingly turning because metal oversupply is now dissipating while industrial demand from Chinese and Asian economies could be coming around, back another for bull run. 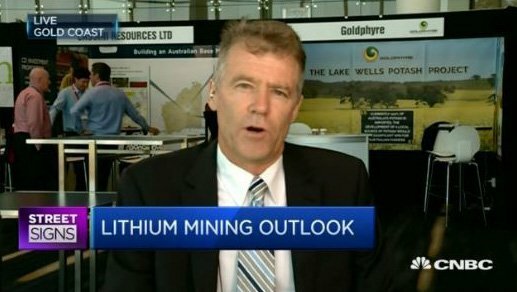 SEG’s latest move into gold and lithium could be an inspired one, even if commodities prices flatten out, because lithium is showing all the right signs of becoming one of the key elements required for an altogether brighter and cleaner energy future. It is said that ‘every little bit helps’ and so too for SEG which recently claimed EDI expenditure of $1.4M for the 2015 income tax year. SEG shareholders received a pro-rata distribution of $413,000 of EDI Credits, which equates to 0.0143¢ per share. The Exploration Development Incentive (EDI) is an ATO-sponsored scheme to assist Aussie explorers with financing domestic projects. In effect, it provides a method of claiming back around 30% of applicable exploration. SEG hung in there during the commodities downturn, and has now found a viable path to raising its sea-floor level share price back up to the surface. With a strong nickel project gradually making progress, (now with a JV partner on board) SEG’s original goal of commercialising its WA base-metals assets is still in motion. However, SEG is not missing a beat in getting its paws on the most talked-about commodity out there — lithium — and supplementing its commercial intent with precious metals work at the Plumridge Gold Project. SEG now has a trifecta of metals in the form of nickel, gold and lithium which it hopes to trilaterally commercialise in recovering metals markets. 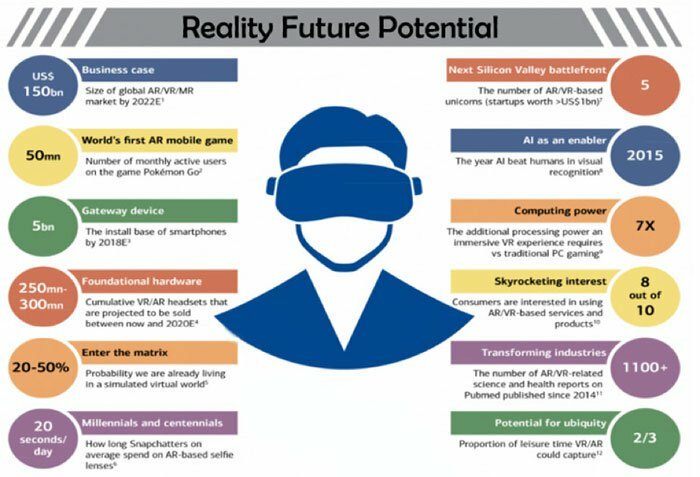 It should be noted here that SEG is a small, speculative stock, and a successful investment here is no guarantee. Always consider your own personal circumstances and risk profile before choosing to invest. Each one of SEG’s commodities are seeing growing demand and waning supply which means that if these trends continue, SEG will have increasingly less to do as part of feasibility studies to make sure its projects are deemed economically viable. The commodity market landscape is turning around. Meanwhile, SEG’s market strategy is now strongly leveraged to an energy-optimised future as well as remaining rooted in safe-haven gold.